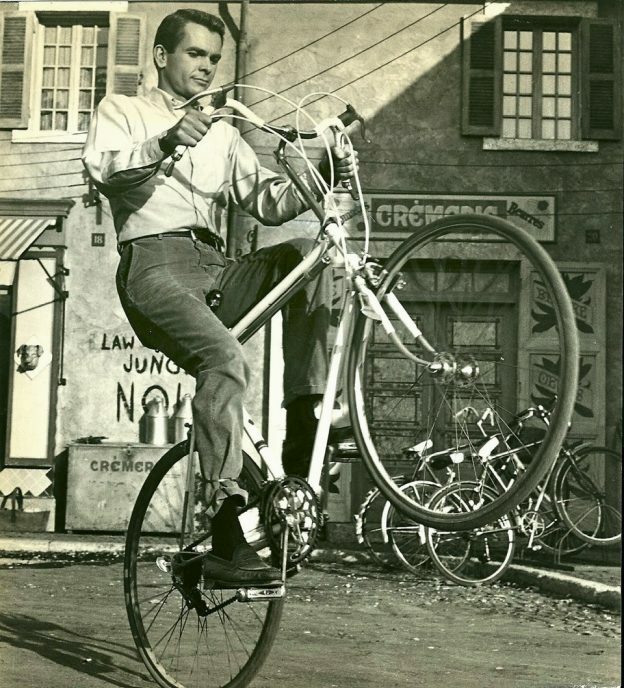 Very few bicycle moves are as cool as the wheelie. When I was younger only a few of my friends could Wheelie and as I got older that number decreased. 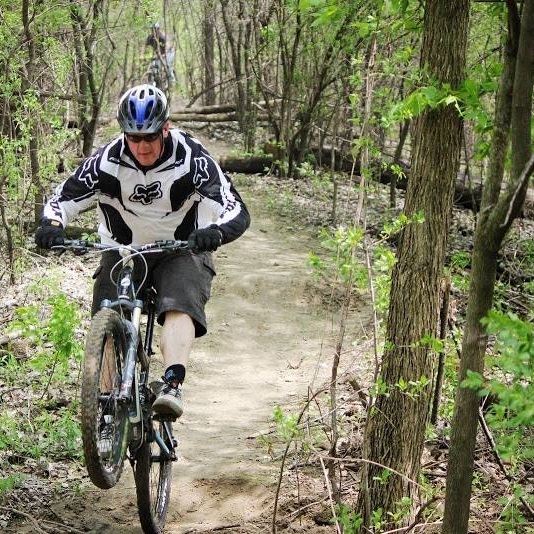 Beyond the “cool factor” wheelies can also help you get up and over objects on the trail with a bunny hop. Ultimately, the ability to control the bicycles balance side to side as well as front to back, while riding on one wheel, will make you a better rider all around. 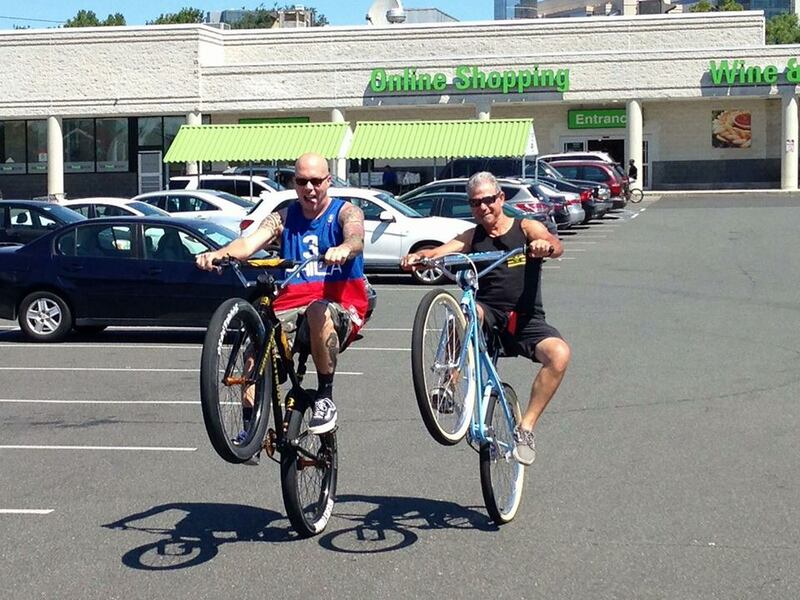 Here is the low down on teaching yourself how to do a wheelie. Please wear helmet! The right practice location is key at first, but becomes unnecessary once you begin to get accustomed to the wheelie. To start, I find somewhere that is very slightly uphill, easily ride-able, but also soft is ideal. The types of places that come to mind are golf courses, turf fields, dirt trails, and bike paths. The gradual uphill gives you a little effort to help get the front wheel up, and the soft surface makes it nicer if you accidentally dismount. Starting out- Start in a medium gear on a slight incline. Begin pedaling normally and until you are moving at a walking pace. Then lower your upper body slightly, bend your elbows, and put your dominant leg into the 11 o’clock position. Getting it up- Here is the moment of truth. Pedal forward forcefully while pulling up on the bars. Once the front wheel begins to lift, move your upper body back (locking out your arms) and attempt to have the front wheel stay up. Keeping it up- When the front wheel is up, there are a few directions you need to handle all at once. You need to pedal in an effort to keep the front wheel up, feather the rear brake in order to stop your weight from moving too far back, as well as try to maintain your position left and right. Balance- To keep balance front to back, continually feather the rear brake as you pedal. If you are balancing properly, pedaling will start to move your weight too far back, so you will be tapping your rear brake on nearly each pedal stroke too move your weight back forward. get your front wheel up by pedaling and moving your weight back. Then use the rear brake and pedaling forces to control your position. To control the side to side movement, use a combination of your knees and handlebars. As an example, if you feel the bike drifting off to the right, turn the bars to the left while also sticking your left knee out. Keep in mind, it is very important to try and control balance issues early, as the bike gets farther and farther toward any direction, it becomes increasingly more difficult to correct. King of Wheelies, Perry Kramer showing how to hang a knee out. I would love to say that reading the steps above will have you rockin’ wheelies in no time, bit the truth is it takes a lot of practice. Picture this: All at the same time you will be pedaling, braking, leaning, turning, and balancing in precise amounts. Getting proficient is not going to happen overnight. You will find that the new talent of Wheeling leads into new challenges, as well as better control. Additionally, as you become good at wheelies, you will find it Is easier to get up and over obstacles. Whatever the outcome, you will be satisfied in yourself that you have practiced, and achieved a new skill. This entry was posted in News and tagged #mtb, bicycle wheelie, bike life, bike riding wheelie, bike wheelie, Bikelife, how to learn to wheelie, how to pop a wheelie, how to ride a wheelie, how to wheelie, RRblocks, trick bike, wheelie, wheelies, wheelies made easy on January 30, 2018 by John Brown.